What can I say about lychee ice cream? I love lychee. And I love ice cream. And now, I know I like lychee ice cream! But still, pistachio ice cream is my all times favourite. Nothing can beat pistachio ice cream. Not only pistachio ice cream is heavenly delicious, but it also has a gorgeous colour. Mmmmm. I so much like the green pistachio colour. Oh, I almost forgot, I wanted to write about lychee ice cream. I don't want to bore you with a long writing. There are so many wonderful books to read. Let's just look at some pictures. And besides, I've got a cold, have a runny nose and stuffy nose at the same time and my eyes keep getting itchy. I shouldn't really spent this much time with my laptop, should I? 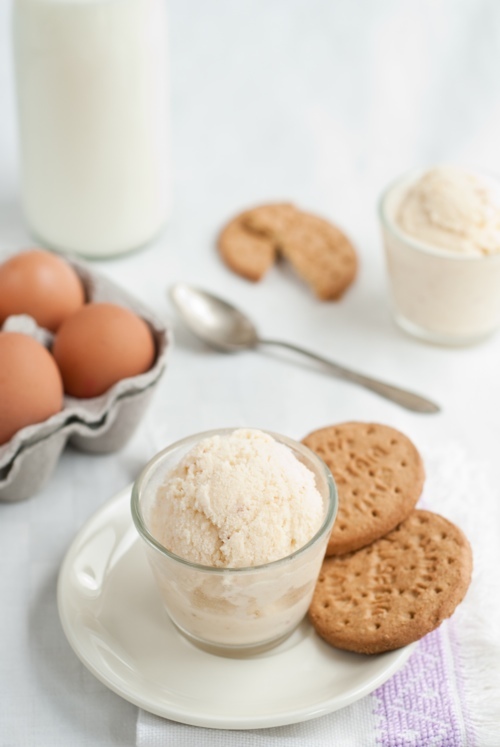 I had an urgent need to share this ice cream recipe with you though. Because I so much needed summer! 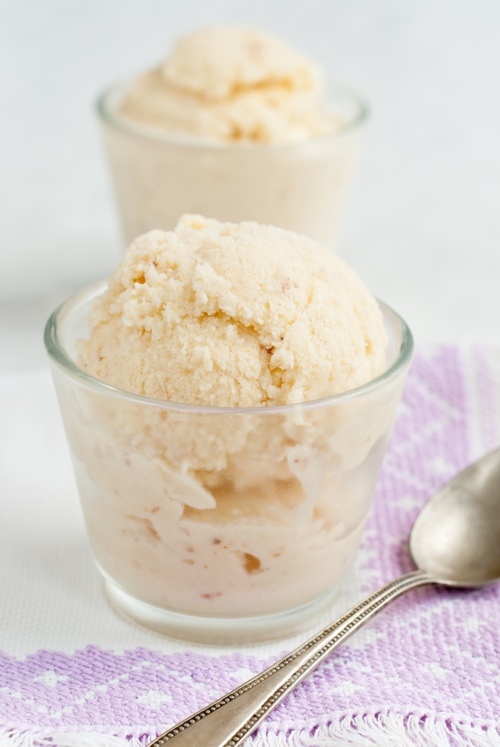 And I had my bit of summer in the London winter when eating my homemade lychee ice cream. 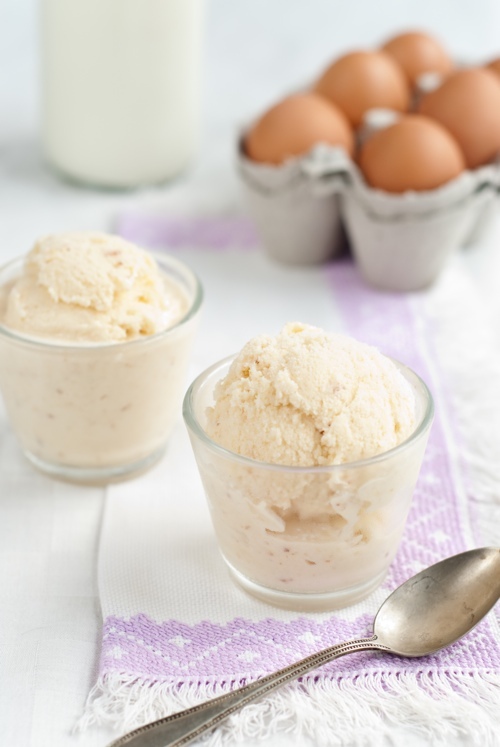 Creme Anglaise is the base for this ice cream recipe. Since I have only made creme Anglaise once in my life, and I'd ended up with horrible scrambled egg taste, I needed some help this time. I googled for a while and I found a wonderful video about making ice cream. 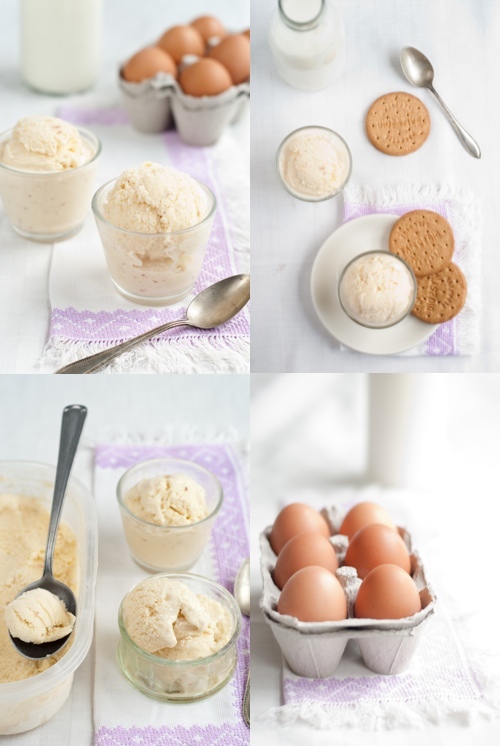 Finally I made some changes to David Lebovitz's recipe for pumpkin ice cream. 1. Mix the milk, cream, salt and granulated sugar in a medium sauce pan. Heat the mixture over a low heat until it starts making little bubbles but do not boil. Keep stirring at all time to prevent burning. Turn off the heat. 2. Whisk the egg yolk in a medium bowl. Temper egg yolks with about half cup of hot cream mixture. 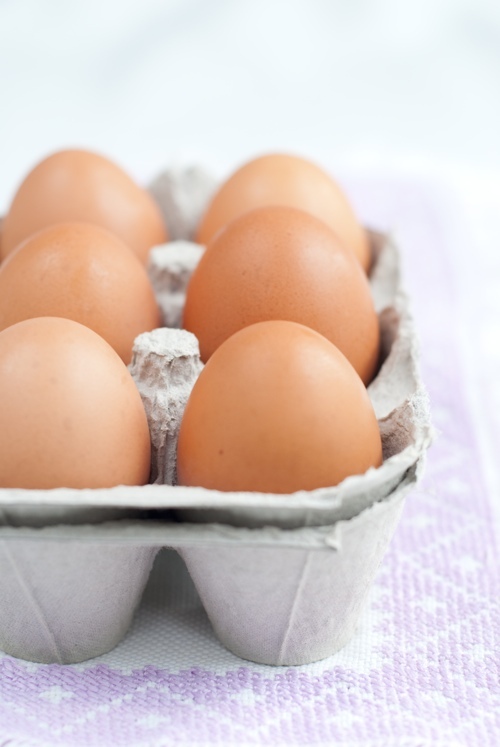 The easiest way to do this is to use a spoon to ladle hot cream mixture into egg yolks while whisking rapidly. It is very important to add only a little bit of hot cream mixture at a time, otherwise you might scramble your eggs and it would not be tasty. You want to add in about half of the hot cream mixture as you constantly whisk it. 3. Return the warmed egg yolks in to the sauce pan, add the vanilla and cook over medium-low heat whisking constantly, until the mixture thickens. If you are not sure how thick the mixture is, stick a wooden spoon into the mixture to coat the back of your spoon and run your finger down to create a line. If the line holds, you know it's ready. 4. Strain the ice cream mixture through a sieve into a clean bowl set in a ice bath and chill. Add the brown sugar and stir until cool. Cover and refrigerate for at least 8 hours or overnight. 5. Stir in the lychee puree. If you don't have an ice cream maker (I don't have one) follow these instructions, otherwise freeze in your ice cream maker according to the manufacturer's instructions. 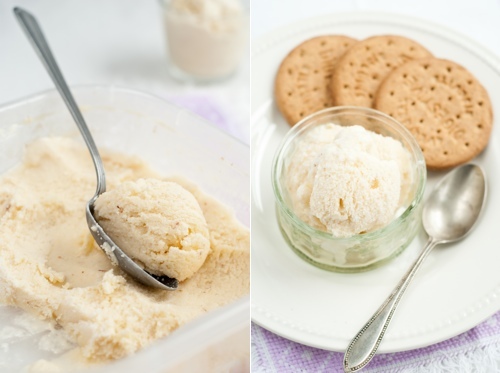 Pour your ice cream mixture into a freezer safe container and place it in the freezer. As the mixture starts to freeze around the edges, remove it from the freezer and stir well. Try to break up any frozen sections. Return to freezer. Repeat the process until the mixture is smooth and frozen.